The top female golfers are back in Carlsbad this week for the Kia Classic Golf Tournament, competing for $1.8 million in prize money. All golfers know that gear is essential to stay focused on the game. That’s why more than 100 pro-golfers, including LPGA pros such as Cristie Kerr, Michelle Wie, Na Yeon Choi, Brooke Pancake, Gaby Lopez and more, trust Vessel golf bags to protect their gear. Each bag is handcrafted with superior quality and unparalleled performance. 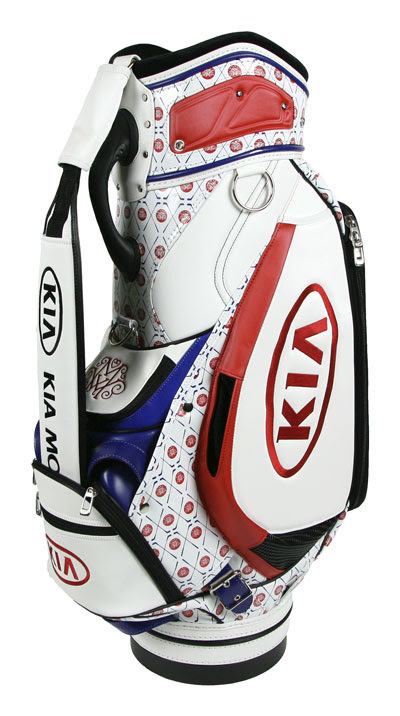 Plus, with thousands of variations between their seven golf bag styles, eight materials and 23 colorways you can create a unique bag highlighting your style, brand or sponsorship. You can turn to Vessel for all your golf accessories too, including head covers, shoe bags, stylish belts and more to fit your game. Each Vessel product is made with the same attention to quality and detail regardless of the player. Vessel’s flagship store at Westfield UTC in La Jolla, California is now open where you can touch and select your bag in person. See for yourself how each bag is handcrafted to perfection. Building a better world through everyday elegance, Vessel’s Buy a Bag, Give a Bag program is the perfect combination of style and cause. With every bag purchased, Vessel gives a school backpack to a child in need. Since this purposeful program was implemented, Vessel customers have helped provide over 26,000 school backpacks! A company that believes life is an adventure filled with purpose, Vessel allows you to carry a customized design to inspire the world with your vision, creativity, and chic style.